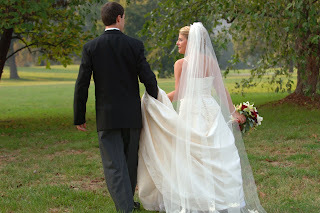 Elegant Engagements Wedding and Event Planners: Newly Engaged? Here are the top things you should do first! 1- Enjoy being engaged, share the news with friends and family, stare at your ring and of course go buy all the wedding magazines - THEN start thinking about a time line. What season or month do you want to be married? 2- Envision the style. Talk to your fiance and decide if you like a hotel ballroom look, outside gardens feel. Envision in your head the final event what sort of feeling do you get, what colors and style do you see? 3- Talk Budget. This is the most stress full thing about a wedding mostly because couples don't know how much things actually cost. Remember the average wedding in the Philly or DC area is about $29,000-34,000. Of course this depends on the guest list, formality and time of day. 4- Which brings me to #4 - Think about who you want to invite and make a preliminary guest list. When you go to look at sites you will need to know if it is too big or too small. 5- Consider hiring a wedding planner, consultant, coordinator and/or designer. They can help you find a location, give you a time line, keep you on track, save you money and just make the whole process a little easier. They will also make sure your wedding day goes off the way you want it to. Definitely a good investment. 6- Choose your attendants. Honor your closest friends and get them to start helping you plan. Search my blog for unique ways to ask them. 7- Start looking at reception sites and narrow down a date. 8- The fun part - start looking at bridal gowns. There are many area trunks hows in the Winter and early Spring. You might just get a great deal. Great tips. Such a lovely experience shopping for the Engagement Rings and planning the wedding.